Bananas. As much as I like them, I always seem to have a few over-ripe ones lying in the fruit bowl. Why? Because the whole bunch ripens at exactly the same time and no matter how much you like banana’s, five in one day is too many. Since I hate wasting food, my solution is to transform them into a delicious batch of banana muffins. Not just any muffins though. These ones have a sweet and crunchy brown sugar crumble topping that transforms them from boring to blissful! These muffins are best served the day you make them, preferably warm from the oven with a generous smudge of butter. 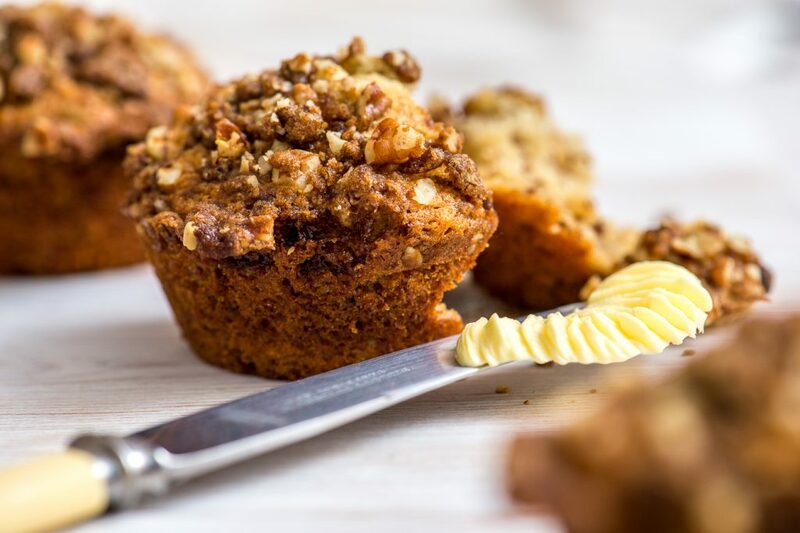 You can store the muffins in an air-tight container but the crumble may start to go soft. If so, simply reheat the muffins at 180°C for 2-3 minutes. Preheat the oven to 190°C and grease a muffin tin (or use paper liners). Start with the crumble topping. Stir together the sugar, flour, nuts and cinnamon. Lastly add the melted butter and mix well. Place into the freezer for 10 minutes to harden while you make the muffin batter. Mash the bananas in a bowl using a fork or potato masher. Add the egg, sugar and melted butter and beat well. Add the dry ingredients to the banana mixture and stir lightly until just mixed. Do not overmix! 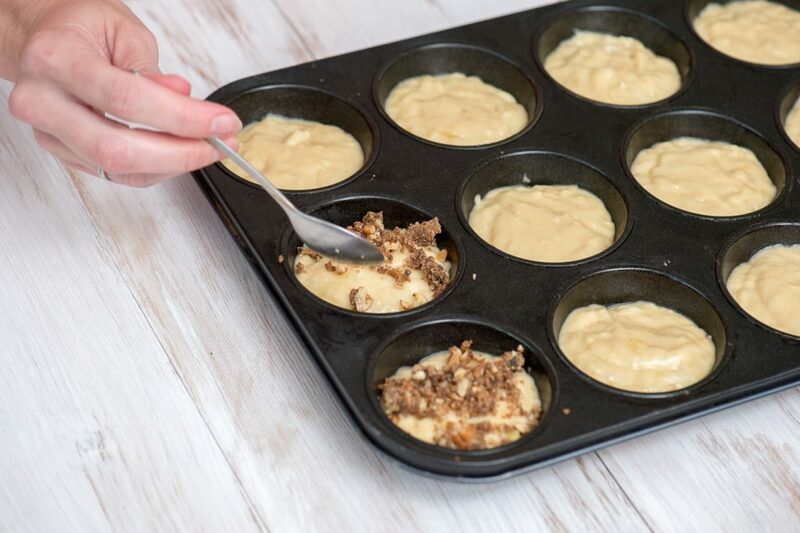 Spoon the batter evenly into the 12 greased muffin cups. Remove the crumble from the freezer and break up with a spoon. Sprinkle over the top of the muffin batter. Bake for 18-20 minutes, until a toothpick inserted into the centre of a muffin comes out clean. 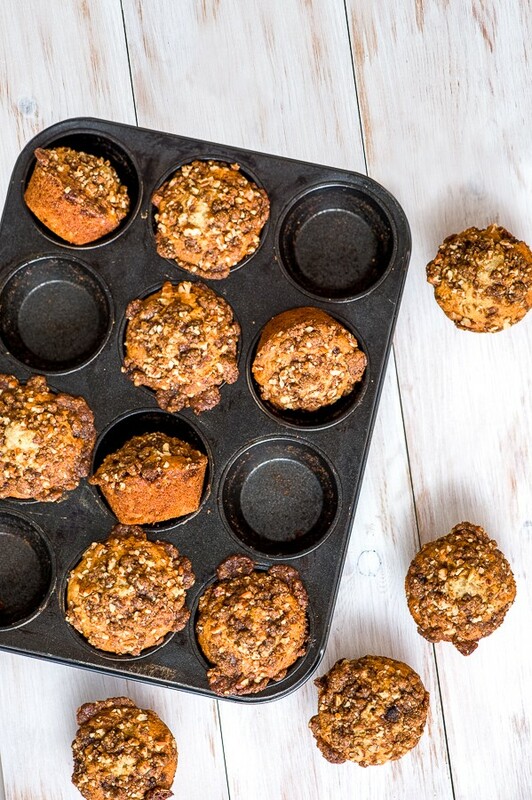 Allow to cool in the tin for 5 minutes, then remove the muffins and serve immediately!